Turbine maintenance specialist Earthmill, which services more than 300 farm-scale turbines across the UK, has completed a deal with Arena Capital Partners that will see a seven-figure investment to grow the business over the coming years. Arena Capital Partrners, which itself owns a fleet of 75 turbines, will become a majority shareholder in Earthmill following the investment. The firm is one of Europe’s leading specialist investors in wind energy ventures, with a portfolio of £40m invested in the sector. 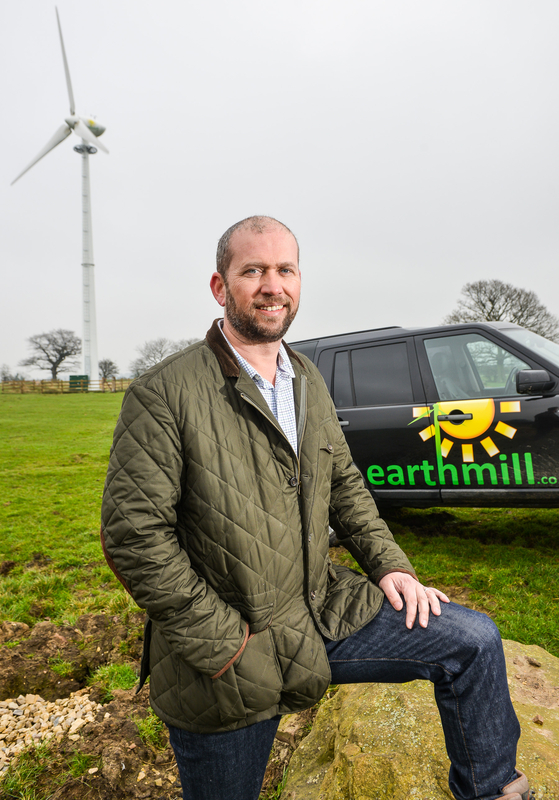 Steve Milner, managing director of Earthmill, said: “It has been a challenging couple of years for the farm-scale wind industry with the Government prematurely ending the Feed-In Tariff, then manufacturers such as Endurance going out of business. We have had to completely restructure our business, and the work we do today goes way beyond standard maintenance. “Since the launch of our maintenance business in 2016 we have worked really hard to grow our fleet and support our customers on farms across the UK who need spares, repairs and general servicing to keep their incomes ontrack. “We had a fleet of less than 200 turbines under maintenance contract two years ago and we have grown that by 20%. We now have over £1m in spares stock, with engineers based around the UK, and we saw an opportunity to grow this business further and consolidate our position as the leader in farm-scale turbine after care,” he added. The investment will see a boost in working capital, as well as a 25% immediate increase in clients from Arena’s 75-strong fleet of working turbines. Earthmill expects to grow stock levels to include larger items such as blades, gearboxes and generators to ensure quicker repairs. New engineers will join the team to broaden geographic coverage and reduce call out times for emergency repairs, decreasing down time and lost revenues when customers’ turbines lose power. Commenting on the investment, Ian Greer CEO of Arena Capital Partners said: “The last few years have seen a great deal of consolidation as the wind energy market has stabilised. As the operator of a substantial fleet of turbines ourselves, we wanted to get smarter about how we maintained these investments. “Earthmill has risen through the marketplace to stand out as an obvious partner for our fleet, but also as an investment opportunity that makes perfect sense,” he said. “The new resources and increased capital, as well as the additional fleet will allow us to offer really good coverage in just about every UK location, and we look forward to bringing more customers on board as we increase our coverage across the UK,” added Mr Greer.